Students learning about life as a towboater during a towboat tour. A Cabell County student attempting a line throw during the mini deckhand lesson. Demonstrations of how to throw a line were given to students before they tried it out themselves. Mason County Career Center students learning about what a career working for the U.S. Coast Guard entails. OHIO VALLEY — Living along the river can coincide with working along the river for many residents. 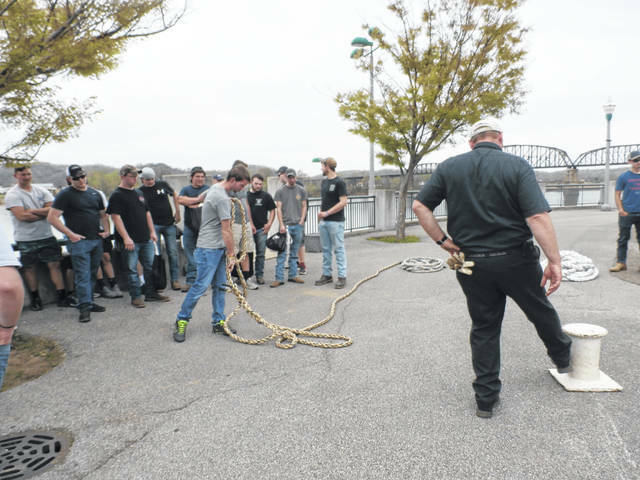 For five years now, an event revolving around careers on the river has been held in Mason County for high school students from various area career centers. 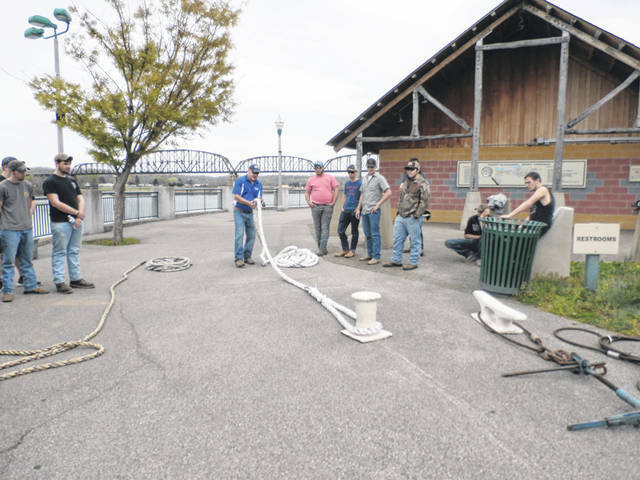 Recently, the “Who Works The Rivers” event returned to Point Pleasant, this event is pulled off via a cooperative effort between RiverWorks Discovery, the Point Pleasant River Museum and Learning Center, and several local river industry employers. RiverWorks Discovery is a national outreach education effort of the National River Center and Hall of Fame located at the National Mississippi River Museum and Aquarium. The event serves as not only an educational tool but also as a “job fair,” allowing both employers and young people to connect specifically with career opportunities related to the local maritime industry. The program began in 2011 in Pittsburgh, Pa. and has since reached 17 cities in the country. To begin the days’ event, approximately 141 seniors from Buckeye Hills Career Center in Gallia County, Mason County Career Center, and Cabell County Career Technology Center in Cabell County gathered together in the American Legion Post #23 building for a career fair, listening to presentations from AEP River Transportation, Amherst Madison, Murray American Transportation, Ingram Barge Company, Superior Marine Ways, Inc., USCG–Coast Guard, USACE–Corps of Engineers, Mountwest Maritime Academy, WIMO’s (Women in Maritime Operations), The Seamen’s Church Institute, and Mason County Career Center. Each presenter had approximately eight minutes to educate the students on their careers. This event has been described by those at RiverWorks Discovery as being an eye opening experience for students wherein they can learn about lucrative job opportunities that do not require extensive schooling. Following their lunch, the students separated into groups of four to rotate between speaking in depth with the representatives at the career fair, having a mini deckhand training session where they practiced throwing a line, taking a tour of a towboat and learning about what life as a towboater is like and how to become a towboater, and lastly taking a tour of a U.S. Coast Guard boat and learning about what it entails to work for the U.S. Coast Guard and what the career is like. 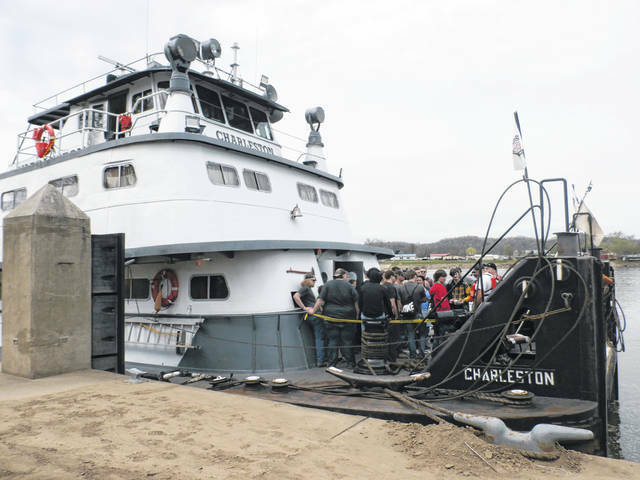 https://www.mydailyregister.com/wp-content/uploads/sites/24/2019/04/web1_River2-1-.jpgStudents learning about life as a towboater during a towboat tour. https://www.mydailyregister.com/wp-content/uploads/sites/24/2019/04/web1_River4-1-.jpgA Cabell County student attempting a line throw during the mini deckhand lesson. https://www.mydailyregister.com/wp-content/uploads/sites/24/2019/04/web1_River4-2-.jpgDemonstrations of how to throw a line were given to students before they tried it out themselves. 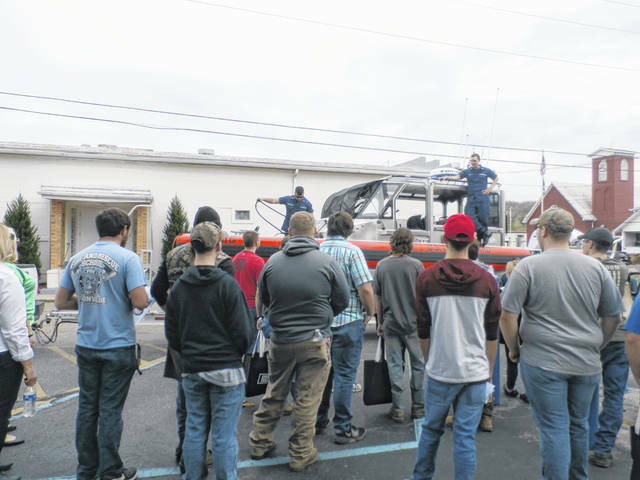 https://www.mydailyregister.com/wp-content/uploads/sites/24/2019/04/web1_River5.jpgMason County Career Center students learning about what a career working for the U.S. Coast Guard entails.